Jarena embraced Christianity and experienced a conversion after hearing a sermon by Richard Allen, founder of the African Methodist Episcopal (A.M.E) Church. Yet she believed herself to be a “wretched sinner” and struggled with suicidal thoughts, fantasizing about drowning herself on several occasions. After three months of constant prayer, she finally felt justified and was baptized. Next came a calling to preach the gospel. The three sections of her autobiography follow the account of her spiritual awakening and clearly demonstrate her belief in female equality. The second section, “My Call to Preach the Gospel,” describes the call to preach she received around the year 1807. She sought permission to answer this call from the Reverend Richard Allen, head of the African Methodist Episcopal, who upheld the church’s ban against women preachers. The third section of her autobiography, “My Marriage,” tells of her union with Joseph Lee, the pastor of a small town church outside Philadelphia, whom she married in 1811. While married, Jarena did not pursue her call to preach, though her autobiography intimates her frustration with the subordinate role of wife. In about 1818, Joseph Lee died, leaving her with two small children to support, one 6 months old and one 2 years old. Though suffering through the trials of caring for her children and fending off her own illnesses, Lee answered her call to preach in earnest now that she was more free to travel. The last section of her work, “The Subject of My Call to Preach Renewed,” recounts the final steps she took toward becoming a preacher. Lee details in her writings her arguments for a woman’s right to preach – an early form of feminist theology. 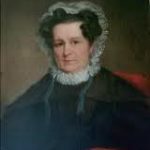 In 1819 Jarena Lee attended a service where a man was preaching from the book of Jonah, but she perceived that he had “lost the spirit.” So, she took over. When in the same instant, I sprang, as by altogether supernatural impulse, to my feet when I was aided from above to give an exhortation on the very text which my brother Williams had taken. I told them I was like Jonah; for it had been then nearly eight years since the Lord had called me to preach his gospel to the fallen sons and daughters of Adam’s race, but that I had lingered like him, and delayed to go at the bidding of the Lord, and warn those who are as deeply guilty as were the people of Ninevah. I now sat down, scarcely knowing what I had done, being frightened. I imagined, that for this indecorum, as I feared it might be called, I should be expelled from the church. But instead of this, the Bishop [Allen] rose up in the assembly, and related that I had called upon him eight years before, asking to be permitted to preach, and that he had put me off; but that now he as much believed that I was called to that work, as any of the preachers present. 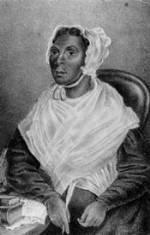 Jarena Lee became the first woman to be authorized to preach in the African Methodist Episcopal Church. However, despite Allen’s blessing, Lee faced hostility because she was black and a woman. 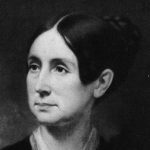 She was granted permission first to preach on the itinerary circuit and then to hold prayer meetings in her home, both huge concessions to be given to a nineteenth century woman of any race. Lee began preaching in 1820 and preached throughout New Jersey, Pennsylvania and New York. According to her autobiography, her first journey as an itinerant preacher was back to her birthplace in Cape May, New Jersey to visit her mother. She traveled to Ohio to preach, and made an extensive trip to preach her way through Canada. She became a traveling minister, traveling thousands of miles on foot. In one year alone, she “travelled two thousand three hundred and twenty-five miles, and preached one hundred and seventy-eight sermons.” During all her travels, she always returned to her home in Philadelphia to rest and recuperate. Lee outlines in her autobiography her spiritual journey and trials, but offers very little information about her family or personal life. She does leave the reader with an impression of herself as an extremely strong woman, one who passes into dangerous slaveholding towns to preach the gospel, and one who stands up to the church leaders of her day, asserting her right to preach as a God-given gift that must be used. 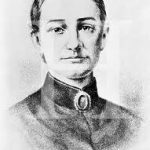 In 1833, Jarena Lee began working with an editor to turn her religious journal into an autobiography. Three years later she had 1000 copies of The Life and Religious Experience of Jarena Lee printed, and began distributing it at camp meetings, organizational meetings and on the street. She sold her little book to raise funds for her travels. In 1839, one year before she joined the American Antislavery Society, she had another 1000 copies printed. In 1849 she printed an expanded version, Religious Experience and Journal of Mrs. Jarena Lee, which carried her autobiography up to her 50th year. There is no known record of Jarena Lee’s later years or her death. Jarena Lee’s autobiographical writings offer invaluable insight into one woman’s efforts to overcome the limitations imposed on her by a racist and sexist culture and show the significance of the church to African American literature. She was an eloquent witness to her faith and a pioneer for all women seeking to preach.